Egypt national football team will unveil its final squad for this summer's African Cup of Nations on 10 June; just ten days ahead of the prestigious tournament kick off on home soil, according to team manager Ihab Leheta. 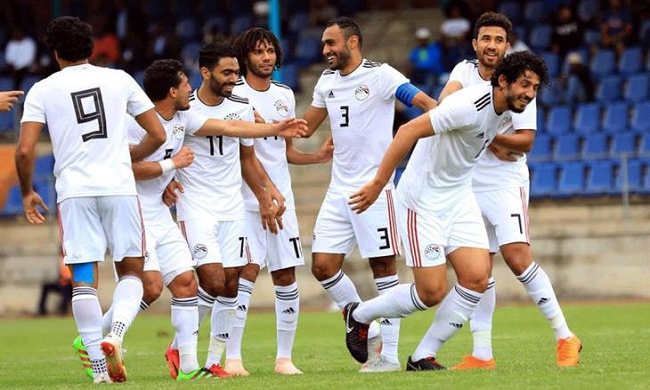 "Coach Javier Aguirre is currently thinking of the 23-man squad that will represent Egypt in the African Cup to send the final names on 11 June," Leheta told ON Sport radio channel on Sunday. After Friday's draw of the prestigious tournament, Egypt were placed in what seems to be a trouble-free Group A alongside Dr Congo, Uganda and Zimbabwe. "Aguirre wants to call some experienced players alongside some new faces who were available in the last camp in March. The door is still open for all players to join the national team," Leheta explained. "The technical staff will meet during the coming days to determine the two friendly matches of the last preparatory camp in Borg Al-Arab ahead of the tournament. "The final program of the team's preparations and the start date of the final camp will also be discussed in the meeting," he added. Egypt was granted hosting rights of the African Cup in January after planned host Cameroon was forced to stand down due to lack of preparation. The Pharaohs are seeking to win the prestigious title for the first time since 2010, the last of their record seven victories. It will take place from 21 June to 13 July, having been moved from January/February to avoid club-versus-country clashes. Egypt, who have already booked a place in Africa's flagship tournament with one match to spare, finished second in Group J of the qualifiers with 13 points, three behind leaders Tunisia. Egypt has already hosted four editions of the cup: in 1959, 1974, 1986 and 2006. With Mexican tactician Javier Aguirre at the helm, Egypt have won all except one of their qualifier matches: crushing Niger 6-0, defeating eSwatini 4-1 at home and 2-0 away, and beating Tunisia 3-2, before Saturday's 1-1 draw against Niger in the final round.